The Florida Herbal Conference is produced by the Florida School of Holistic Living, a 501c3 nonprofit educational organization based in Orlando, Florida, that has provided herbal education in Florida since 1999. 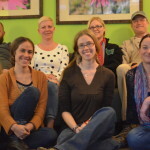 FSHL empowers and cultivates community through philosophy-in-practice education, including a comprehensive herbalism curriculum and a complementary array of courses and workshops in many areas of natural health and sustainable living. In addition to our public classes, many programs offer professional continuing education hours. 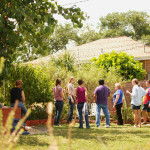 Community programs that include bimonthly Moon Circles in our teaching garden provide the Central Florida community a space to connect with each other, build vibrant health, and deepen relationship with the earth. 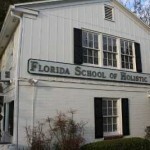 Visit www.HolisticLivingSchool.org to learn more about classes at the main Orlando campus, branch programs throughout Florida, or distance learning opportunities. Donations to the school are tax-deductible, and support programs like this conference, our teaching garden, our educational programs in correctional facilities, our scholarship fund, and our sliding scale clinic. The school launched the Florida Herbal Conference in 2012 to cultivate herbal community within our region. We are deeply indebted to the pioneering herbalists who have come before us and built a foundation of amazing herbal gatherings around the country. Their hard work, creativity, and passion inspired us to continue blazing a trail in our home state. Deep gratitude to the amazing herbalists around the country who have been inspired to deepen the roots of our herbal world, and whose dedication to our herbal brothers and sisters have inspired us to cultivate this humble gathering in our own neck of the woods.